UF/IFAS Extension Agents and Master Gardeners of Leon County have partnered with the Leon County Office of Resource Stewardship to lead multiple educational activities at this year’s Leon County Sustainable Community Summit. The conference is breaking out of the indoors this year and will be held at the beautiful J.R. Alford Greenway at 2500 Pedrick Road in Tallahassee on Saturday, March 23, 9:00 a.m. to 1:30 p.m. There will be many interactive educational activities, including a chance to learn about electric vehicles, waste reduction, green spaces, local food systems and vegetable gardening, and energy and conservation. There will be a kids’ tent and post event tours, including a nature walk, greenway hayride, and a bike ride with Joyride Bicycle Collective. 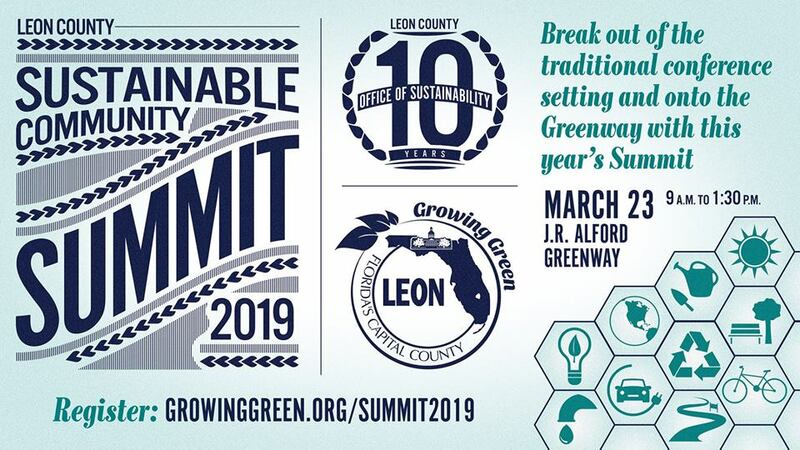 During the Summit, there will be an opportunity for the community to provide input for the Leon County Sustainability Action Plan, learn about the Property Assessed Clean Energy (PACE) financing program for making homes more energy efficient, and the Community Garden Network of the Capital Region will be giving away a free garden bed kit. 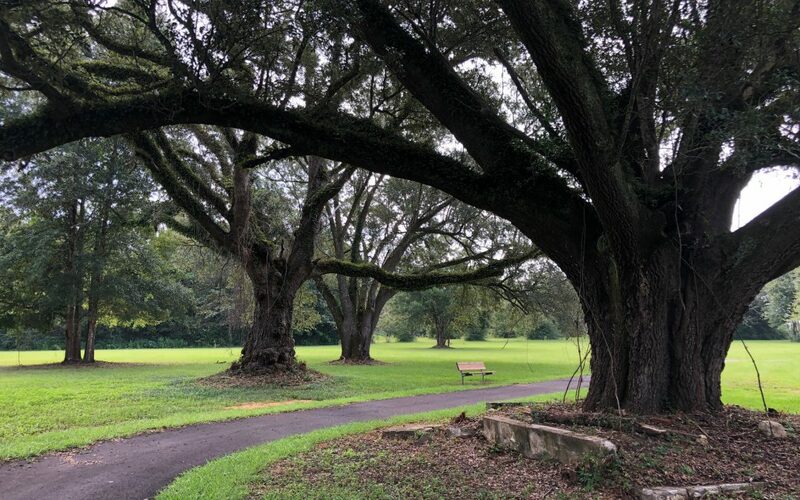 Please register to attend the Leon County Sustainable Community Summit on Eventbrite (https://www.eventbrite.com/e/2019-leon-county-sustainable-community-summit-tickets-54664825966). Coffee, snacks, and lunch are included in the registration fee. For more information, visit the Growing Green website (www.GrowingGreen.org/Summit2019). Please bring a water bottle and wear weather appropriate clothing. Finding professional landscape services for your home or business can be difficult. 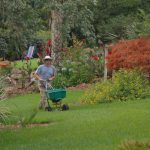 Unlike many skilled trades in Florida, landscapers/groundskeepers are mostly unregulated. No state exams exist to determine mastery of the basic skills required to perform lawn or landscape maintenance. Ultimately, consumers are left on their own to determine who to hire. 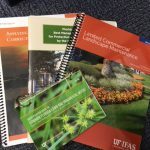 As UF/IFAS Extension Agents, we cannot endorse or provide referrals to companies; however, we can offer some guidance to help you with your search for qualified professionals. Be an informed consumer. You don’t have to be an expert in landscapes. Instead you should have an idea of what you envision for your landscape. Familiarize yourself with the type of turf grass and plants you want and learn what the basic maintenance is for their upkeep. Fertilizer and pesticide applications DO require state certifications. Commercial landscape fertilizer applicators must obtain state certification. Fertilizer applicators for hire must maintain the Limited Urban Fertilizer Applicator Certification (Chapter 482.1562, Florida Statutes). Each applicator must have an individual certification. No one can “work under” another applicator’s certificate. Pesticide applicators (any substance applied with the intent to kill or inhibit growth of weeds, insects, nematodes, fungi, bacteria, etc.) have two options depending on application site and qualifications. Ask about affiliations with professional organizations. 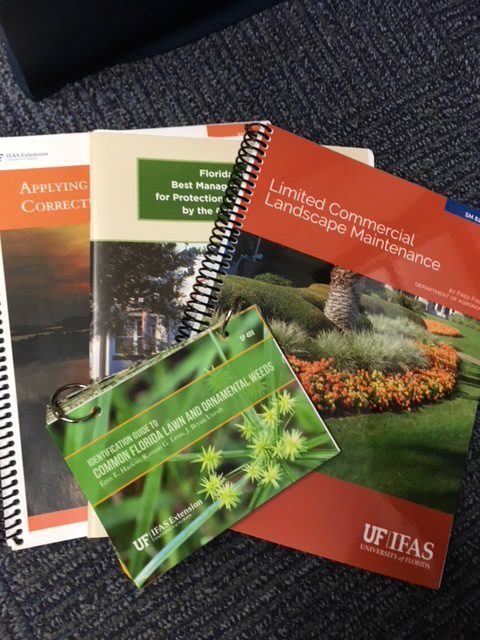 Although landscapers are not required to obtain state certifications (excluding fertilizer and pesticide applicators), many take the extra steps to increase knowledge and keep up with industry standards and trends. 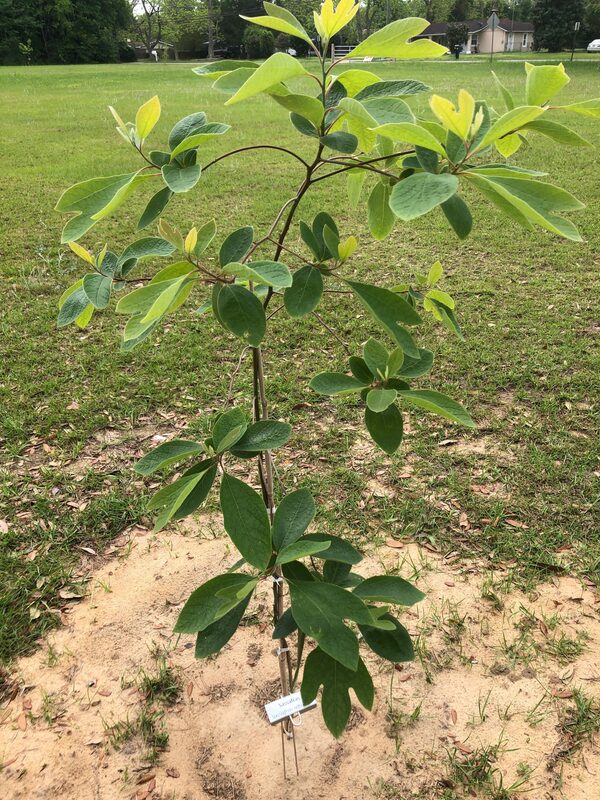 Voluntary participation in organizations such as Florida Pest Management Association (FPMA), Florida Nursery, Growers and Landscape Association (FNGLA), Florida Turfgrass Association (FTGA), Tree Care Industry Association (TCIA), International Association of Arboriculture (ISA), etc. Some of these groups offer certification programs for professionals to help them increase knowledge. Word of mouth/observation. If you see a landscape that looks good, ask who they use and if they are pleased with their service. Talk to friends and colleagues for recommendations. Check references. Always ask for references and contact them. Yes, they may only give you the names of happy clients, but you can still ask questions to get a feel for the type of service offered and assess the longevity of the company. Landscape professionals looking for certification classes should visit Green Industries in the Panhandle Upcoming Events page. Start preparing now so your fall garden will be full of dark leafy greens, multi-colored lettuces, and root vegetables of all shapes and sizes. Photo by Molly Jameson. August is a double-edged sword. 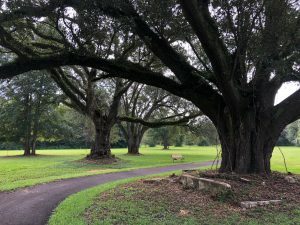 The oppressive heat is at its pinnacle – where even the thought of spending time in the garden makes you break into a sweat – but it is also the time of year that visions of fall start coming into focus, and you can’t help but peek at the weekly forecast for signs of declining temperatures. If your garden looks anything like mine, there are sweet potato vines weaving in and out of every corner of sunlight they can find. The sweet peppers you let fully ripen are bright red and sweeter than ever. You may have already reaped the reward of your watermelons, but you’re still hoping you can get the harvest timing right for the late season bloomers. Your okra is as tall as you – maybe even taller – and you’re grateful, for their big oblong heart-shaped leaves are shading out at least some of those warm-season weeds. 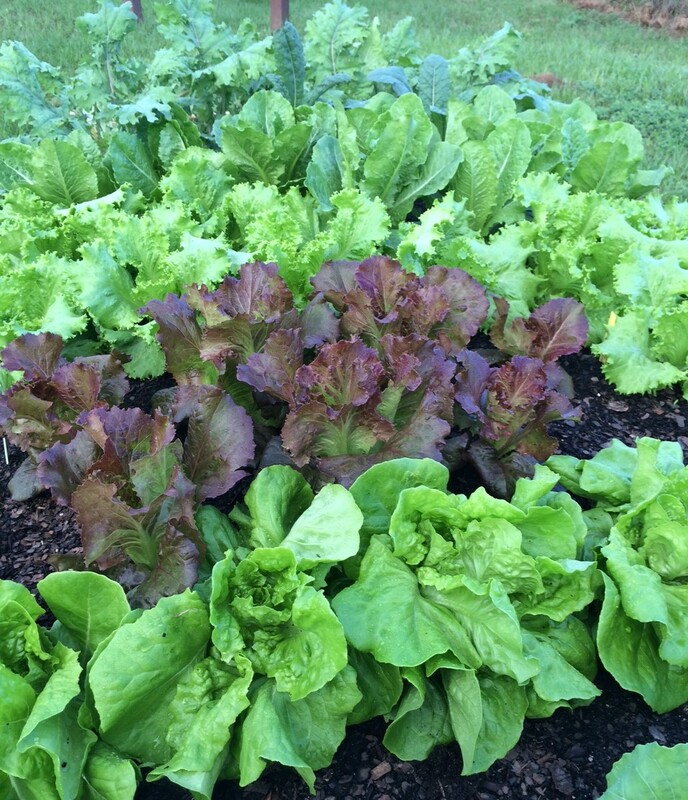 Fall is the time to start growing kale, lettuce, onions, parsley, mustard greens, and much more. Photo by Molly Jameson. 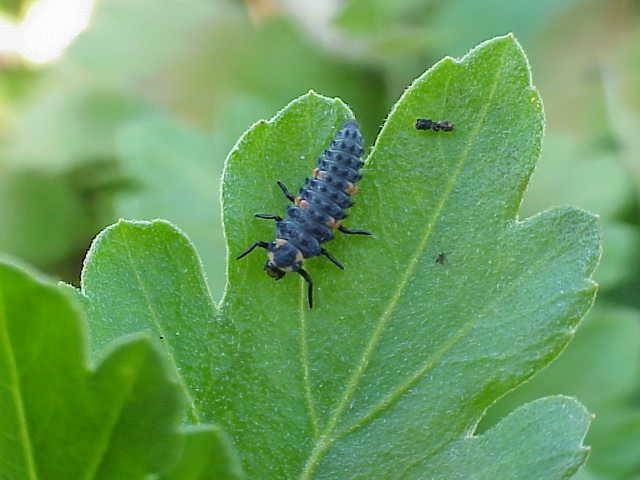 But the seasons are-a-changing, and soon you’ll be pulling up the last of your summer garden to make room for dark leafy greens, a cornucopia of roots, and a rainbow of lettuce varieties. If this is making you want to rush to your nearest plant nursery and unearth all your half-used fall seed packets, then come on down to the Leon County Extension Office in Tallahassee to join us for our annual Fall Backyard Gardening Series! This is a two-part series, running from 6:00 to 8:00 p.m. on September 4 and 6:00 to 8:00 p.m. on September 11, 2018, at 615 Paul Russell Road. I, along with Extension Agents Mark Tancig and Trevor Hylton, will discuss garden site selection, soil and fertilization, and fall planting and gardening techniques. 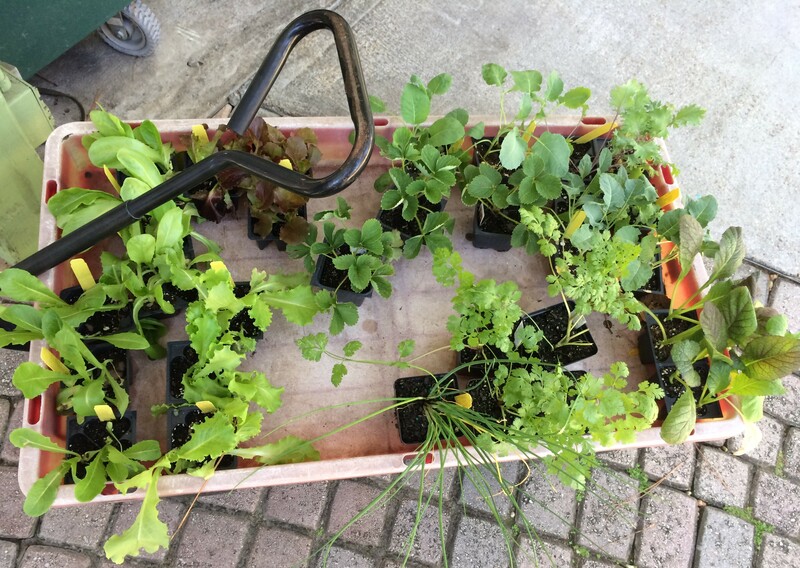 As a bonus, you’ll leave with freshly planted vegetable seeds to take home to later transplant into your garden. Please register on Eventbrite. The cost for both evenings is $10, and light refreshments will be provided. For more information, contact Molly Jameson at mjameson@ufl.edu or by phone at 850-606-5219. And if you’re not in the Tallahassee area, check with your local extension office to see what fall gardening events they may have available. Tending a fall garden in Florida can be one of the most rewarding outdoor endeavors you can experience!